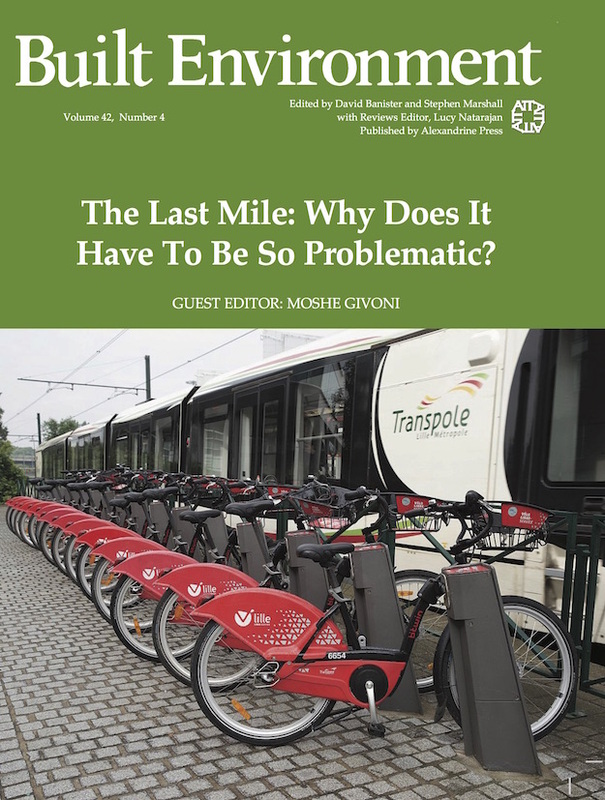 Out now, ‘The Last Mile: Why Does It Have To Be So Problematic’, Built Environment volume 42(4) guest edited by Moshe Givoni. This issue addresses the ‘last-mile problem’ - the challenge of integrating long-distance inter-city transport with short-distance urban transport. The articles consider a variety of angles on this important and thorny topic including: ‘the last mile’ challenges in the flows of goods and passengers in freight and public transport’; the factors of infrastructure and commuter experiences; the influence of cultural and family norms on behaviours and modes of transport; the role of 'shared mobility'; car-free urban areas; and the potential future impact of technoloies such as 3D printing and drones.